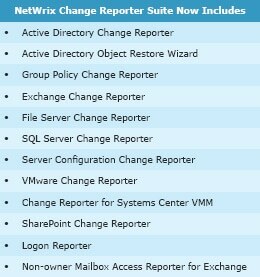 NetWrix has recently added two new components to the Change Reporter Suite: Non-Owner Mailbox Access Reporter for Exchange and Logon Reporter. New additions to NetWrix’s integrated solution for streamlined security and compliance mean that in addition to the IT infrastructure-wide change auditing capabilities already provided by the solution, the suite now automates the auditing of all types of logon events, and detects all situations when administrators or other users have gained access to another user’s mailbox. 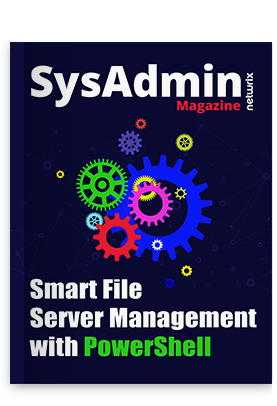 By auditing, alerting and reporting on who made what change, when and where within the entire IT infrastructure, Change Reporter Suite provides the broadest coverage of supported types of managed systems. Download free 20-day trial of the Change Reporter Suite.